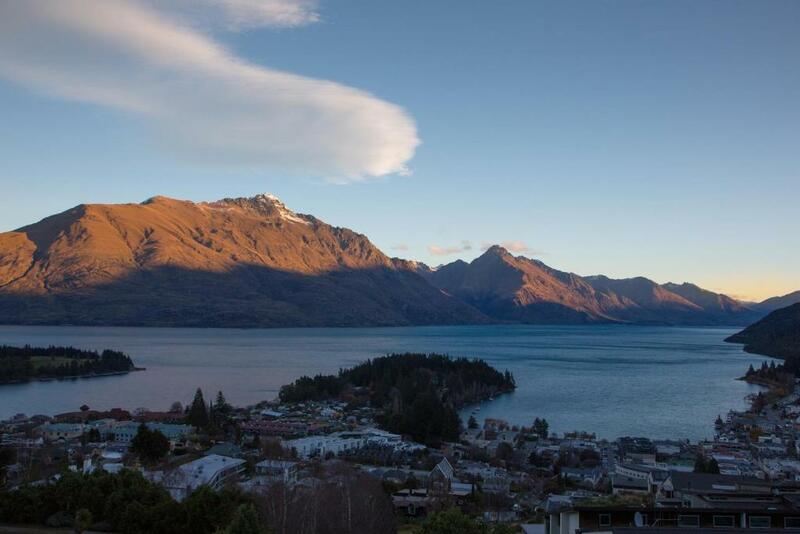 Located in Queenstown, within a 19-minute walk of Skyline Gondola and Luge, Villa De Luxe offers mountain views. It provides free WiFi and a spa & wellness center. This apartment with lake views has 3 bedrooms and a bathroom with a hot tub. The property is equipped with a kitchen with a dishwasher and an oven. Shotover River is 1.2 miles from Villa De Luxe, while Queenstown Event Centre is 3.9 miles away. Queenstown Airport is 4.3 miles from the property. When would you like to stay at Villa De Luxe? This apartment features a dining area, microwave and fireplace. Villa De Luxe is positioned high on Queenstown Hill's most sought after location, Belfast Terrace. From here, the floor to ceiling windows benefit from uninterrupted views – which are just as magnificent during the day as they are at night. This new and contemporary property has everything you need for a unforgettable stay. There’s décor hand-picked by our top local interior designer, private outdoor areas with lounges, dining, a spa & barbeque facilities, an effortlessly inviting open-plan living space, all the mod cons that are essential for an accommodating stay, plus a heated driveway leading to the double garage for safety in winter! Each bedroom has its own plush charm with individual ensuites and wardrobes. The deluxe master bedroom is a crowd pleaser with demanding 180 degree views, protruding balcony, ensuite with bath and walk in wardrobe. The central location of Villa De Luxe means that in the winter months, you’re 15 minutes from the base of Coronet Peak ski field, and walking distance to the heart of the town and its premium activities. This is a peaceful and safe neighborhood with some of the best views in Queenstown. House Rules Villa De Luxe takes special requests – add in the next step! A NZD1600 damage deposit is required on arrival (around USD1062.48). This deposit will be fully refunded 14 days after check-out, as long as there isn't any damage to the property. All children under 12 years are charged NZD 100 per night for extra beds. Any additional older children or adults are charged NZD 100 per night for extra beds. Villa De Luxe accepts these cards and reserves the right to temporarily hold an amount prior to arrival. Please note that this property requires a deposit which is equal to 1 nights' accommodations upon check in to cover any incidental charges. This bond will be refunded once a full property exit check has been done and upon confirmation that there is no excessive cleaning required, excessive rubbish to be removed or any damages to the property. Please note that there is a 3% charge when you pay with a Visa or Mastercard credit card and a 5% charge when you pay with an American Express credit card. Please note that the accommodations will not be serviced for the duration of your stay. You can request daily housekeeping service at an extra charge. Please inform Villa De Luxe of your expected arrival time in advance. You can use the Special Requests box when booking, or contact the property directly using the contact details in your confirmation. A damage deposit of NZD 1600 is required on arrival. That's about 1062.48USD. This will be collected by credit card. You should be reimbursed within 14 days of check-out. Your deposit will be refunded in full by credit card, subject to an inspection of the property. We need at least 5 reviews before we can calculate a review score. If you book and review your stay, you can help Villa De Luxe meet this goal.